1 Students can usually buy an older edition of the textbook for $10. 2 Granted, we are biased, but no one has disagreed so far. 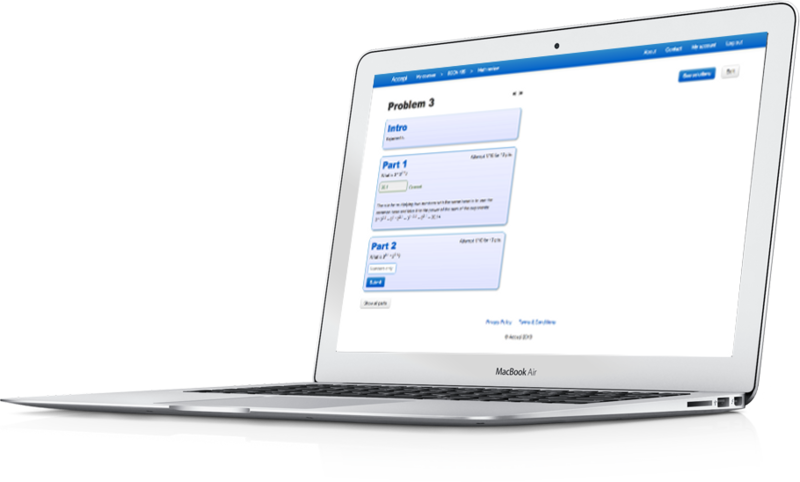 3 Detailed feedback is only provided for the few problems that have a "worked solution." 4 Input numbers are randomized to prevent cheating and allow for multiple attempts. 5 Problems that require a spreadsheet and show step-by-step solutions. 6 Instructor can edit all problems to suit their needs. 7 System supports single sign-on and grade upload to LMS.